Nancy A. Khalil is a Postdoctoral Associate in in the Yale Center for the Study of Race, Indigeneity and Transnational Migration and holds a PhD in Anthropology from Harvard University. After Yale, she will be joining the Department of American Culture at the University of Michigan in Ann Arbor. Celene Ibrahim is the Muslim Chaplain at Tufts University and has served on the faculties of Andover Newton Theological School, Hebrew College, Hartford Seminary, Boston Islamic Seminary, Episcopal Divinity School, and Merrimack College. She holds a PhD in Islamic Studies from Brandeis University and an MDiv from Harvard Divinity School. Professional training programs and institutes for aspiring Muslim religious leaders are springing up across the United States as a result of burgeoning need for leaders who can navigate the current social, civic, and religious landscape. This article surveys the emergence and development of higher educational programs geared to aspiring Muslim religious leaders and shows how new Muslim institutions are arising alongside innovative tracks for Muslims within multifaith divinity schools and historically non-Muslim seminaries. Programs and institutions tailored specifically for the purpose of training Muslim religious professionals have a brief history in the United States; yet, recent decades have seen a veritable growth in higher education programs geared to aspiring Muslim religious leaders (Smith, 2009). Particularly in the wake of the tragedy of September 11, Muslims have also taken more active roles in governmental and civic institutions, as well as interfaith coalitions in an attempt to distil harmful stereotypes and earn seats at decision-making tables (Halhoff, 2011). With the increased demographic share of new generations of American-born Muslims, combined with continued immigration from Muslim majority countries, the need for Muslim civic leadership continues to grow, especially around the need for religious formation, for social services, and for taking on public issues related to surveillance, discrimination, and anti-Muslim bias. This article surveys nascent programs and institutions of higher education that are grappling with how to train Muslim professionals to be effective religious and community leaders in the current social, political, and religious landscape. Much of the demand for Islamic professional education is driven by the need for religious leadership at the local level, and many Islamic centers – particularly those beyond the larger metropolises – feel short on qualified candidates (Bernett, 2013). As perhaps the primary professional position in American Muslim communities, the imam of a mosque or an Islamic cultural center serves as a pillar of Islamic learning for a local community. In mosques with smaller constituents, the imam might be the only staff person, may not be financially compensated, and may simply fill the position part-time in addition to holding a full-time job in another occupation. Often several individuals share religious duties, including leading communal prayer on Fridays (ṣalāt al-jumʿa) and giving the Friday sermon (khuṭba). Religious leadership can be more broadly conceived beyond the imam, and, increasingly, American mosques and cultural centers require a more collaborative model for institutional leadership to meet the exigent demands. Particularly if it is large, a mosque or community center may have an executive director and a variety of support staff to run programming and community services, or even multiple imams. This model adds demands in terms of financing and human resources. “This article surveys nascent programs and institutions of higher education that are grappling with how to train Muslim professionals to be effective religious and community leaders in the current social, political, and religious landscape. Alongside imam positions, Muslim chaplains are also increasingly in demand to serve in universities, hospitals, prisons, and other civic institutions in the American context. The role of a Muslim chaplain differs from that of an imam in at least three notable ways. First, a general gender restriction has historically been placed on the imam position; being male is a prerequisite for leading mixed-gender congregations according to dominant positions in Islamic legal thought. There is no gender restriction formally placed on chaplains, since leading co-gender prayers is not necessarily a primary role of the chaplain (Khoja-Moolji , 2011; Smith 2013, p. 68). Increasingly, females are serving as chaplains for mixed-gender populations, including occasionally in the armed services (Murphy 2008). Chaplaincy is particularly attractive to women looking for a professional avenue within which to pursue Muslim communal leadership and Islamic learning. Less commonly, a male and a female chaplain might also share the role in order to best serve a mixed gender population, as was the case at Middlebury College in Vermont where spouses shared the chaplaincy position from 2014 to 2018. Professional chaplaincy requires a skill set that, based on advertised job calls, does not necessarily include years of advanced study of the traditional Islamic sciences. Such a background in traditional religious sciences is clearly an asset, but chaplains may have a basic degree in Islamic studies or related fields from a college or university alongside training in counseling. Chaplains may not need to have Islamic specializations such as legal interpretation, Qur’an recitation, or competence in preaching, skills that are otherwise often expected of an imam. Another key difference is that chaplains are employed largely by colleges, hospitals, prisons, and the military; they are hired by institutions that are likely to be interreligious or secular in orientation, as compared to a mosque board, which is a predominantly or exclusively Muslim body that screens imam candidates. As such, hiring bodies for chaplains, versus hiring bodies for imams, may value and prioritize professional competencies very differently. By virtue of working in predominantly non-Muslim institutions, chaplaincy requires a skill in navigating between predominately non-Muslim and Muslim spaces in a liaison role. Someone in the imam position might have a community member or team to support interreligious outreach to help shoulder some of the interreligious and public relations work. Like imams, many Muslim chaplaincy positions are often substantially underfunded or have very limited hours, such that one chaplain might be affiliated with multiple institutions on a part-time basis. Those with expertise in the field are putting in place the institutional structures to support chaplains in developing professional alliances and standards. The Association of Muslim Chaplains (AMC) emerged in recent years as an umbrella organization to forge networks for best practice sharing through conferences, seminars, and online platforms. The organization includes groups working within higher education, hospitals, prisons, and the military. Working groups for different chaplaincy sectors, such as the Association of Campus Muslim Chaplains emerged in part from the AMC network. What precisely the technical specializations are for each position – and to what depth a chaplain, or an imam, should be competent in them –remains up for debate. For American Muslim religious leaders, whether in a mosque, in a community center, in a chaplaincy context, within a religious learning institute, or within a service-based non-profit, competencies for religious leadership vary considerably. Yet, several accredited institutions for training religious leaders have adapted their curriculums to prepare Muslims for these kinds of professional service roles. 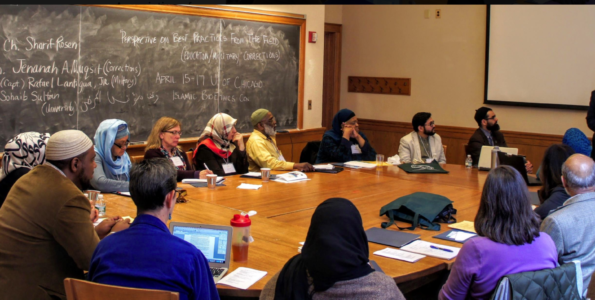 A handful of historically Christian seminaries, including Harvard Divinity School, The University of Chicago Divinity School, Yale Divinity School, Claremont School of Theology, and Hartford Seminary, have adapted their chaplaincy curricula to include Muslim students. Hartford Seminary in particular is a leader in this sector and has established a Graduate Certificate in Imam and Muslim Community Leadership. Multifaith institutions, such as Union Theological Seminary, Auburn Seminary, Claremont Lincoln University, and Andover Newton Theological School have offered degrees in leadership in multireligious contexts that have attracted some aspiring Muslim religious professionals. Muslim religious professions benefit from similar skill sets with chaplains and religious leaders of other faith backgrounds, including skills to work with diverse populations in pluralistic contexts; yet, the specificity of Islamic texts and traditions also requires training that is particular to Islam and Muslims (Ibrahim-Lizzio, 2014). In an ethnographic analysis of three such historically Christian training programs that now also accept Muslims, Sajida Jalalzai (2016) finds that religious individualism, an emphasis on spirituality over religious law, on non-hierarchical authority, are traits characterizing these programs. As divinity schools and historically non-Muslim seminaries figure out how to best train their new religious demographic, Muslim are wrestling with how to navigate American models of scholarly training for religious professionals. Several institutions have recently emerged in the United States with a mission to advance Islamic higher learning. In undergraduate Islamic education, Zaytuna College (est. 2009) in Berkeley, California has been authorized to award degrees by California’s Bureau for Private Postsecondary Education (BPPE) and accredited by the Western Association of Schools and Colleges (WASC) to offer a Bachelor’s degree in Islamic Law and Theology and, more recently, they began offering a Master’s Degree in Islamic Texts (still pending WASC acceptance). It enrolled its first undergraduate class in 2010 and celebrated its first commencement in the spring of 2014. Zaytuna College offers a general humanities curriculum in addition to specialized classes on Islamic sciences and may potentially expand to include additional graduate programs in the future. Bayan Claremont, a graduate school offering masters level degrees and operating since 2011, is able to offer theological degrees with WASC accredited status as well as accreditation from the Association of Theological Schools through an arrangement whereby Bayan Claremont operates as a division of Claremont School of Theology. Other programs are building their capacity for graduate-level education. In New England, the Boston Islamic Seminary began offering “continuing education” courses in 2016 and plans to enroll its first cohort of full-time seminary students in 2019. Currently housed in the Islamic Society of Boston Cultural Center (ISBCC), New England’s largest mosque, the seminary is actively pursuing state and regional accreditation and has ambitions to eventually develop a new facility. The Qalam Seminary, a project of the Qalam Foundation, is based in Dallas, Texas and has been offering courses since 2013 beginning with a one-year graduate level program and progressing to a two-year, full-time certificate-program. Tayseer Seminary, based in Knoxville, Tennessee and founded in 2012, offers a one-year intensive in Islamic Studies. American Islamic College, based in Chicago was revived after September 11 to begin again offering undergraduate and graduate education focusing on the Islamic Sciences. The College had previously lost its accreditation twice in the 80s and had closed its doors before being revived. Around the United States, other institutions are offering training for Muslim professional religious leaders. The Fairfax Institute, a school of the International Institute of Islamic Thought (IIIT) has a flagship program leading to a “Graduate Certificate in Imam and Muslim Community Leadership,” offered in partnership with Hartford Seminary. Respect Graduate School in Bethlehem, Pennsylvania offered in the past a Master of Arts in Islamic Studies. Mishkah Islamic University of North America (est. 2004 as Sharia Academy of America) has a distance-learning model for higher education coordinated from offices in Minnesota and Cairo that offers associates degrees through doctorates with on-site courses are available in several North American cities. Madina Institute, located in the Atlanta, Georgia area, offers associates and bachelor’s degrees in traditional Islamic sciences as well as courses in Arabic language. In addition, there are a number of schools in North America that teach according to the popular Deoband seven-year curriculum that can be offered at the secondary school level, collegiate level, or graduate level depending on the student’s stage. A handful of other programs emphasize counselling and spiritual direction or language acquisition. For instance, The University of Spiritual Healing and Sufism, located in northern California, focuses on pastoral skills and offers a four-year Masters of Divinity track that alternates between distance learning and in-person intensives as well as a variety of short courses at locations around the United States. In the realm of Arabic language acquisition, which is often an essential element for religious leadership, the Washington D.C. based Fawakih, primarily focusing on Arabic language teaching, is emerging as a leader in the field and runs short courses and semester long programs in many cities across the eastern United States. 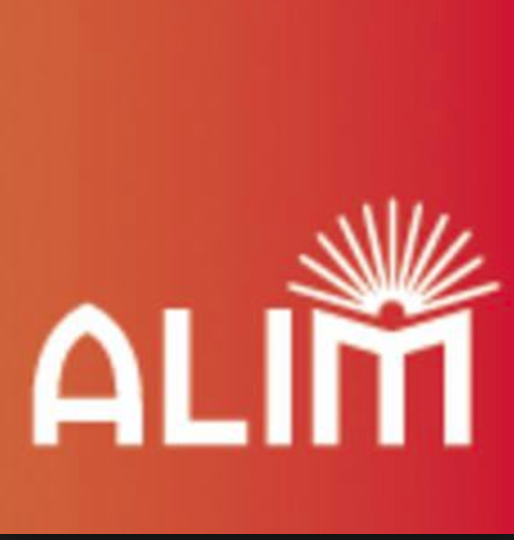 Additional programs, such as the Michigan-based American Learning Institute for Muslims (ALIM, est. 1998) also provides religious and language instruction for young adults and aspiring Muslim leaders and intellectuals in North American cities. 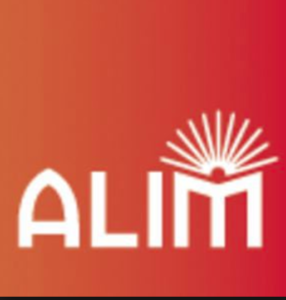 The ALlM program leadership includes Dr. Sherman Jackson, Professor of Religion and American Studies and Ethnicity at the University of Southern California. Dr. Jackson’s dual role as university professor and simultaneously a lead teacher at separate institute of Islamic learning is a pattern that is typical among other religious scholars who have affiliations in both secular academic and Islamic teaching realms (Khan 2009). Muslim women are also starting training initiatives for the purpose of assisting other women acquire Islamic knowledge and communal leadership skills. For instance, Rawiya is an online learning platform that offers courses and degrees in Islamic sciences. Accredited by Maahad Mecca Al-Mukarramah (The Holy Meccan Institute) in Saudi Arabia, Rawiya is a project of the Al-Rawiya Foundation (est. 2005), established by Shaykha Reima Yosif with headquarters in New Jersey. Rabata, founded by Anse Tamara Grey, is based in St. Paul Minnesota and is a learning community geared specifically to women. The program sponsors online learning opportunities as well as Islamic learning retreats. Other training programs focus on non-theological skills, such as administration and non-profit management that are helpful in religious leadership domains. For instance, the American Muslim Civic Leadership Institute (AMCLI) at the University of Southern California has worked extensively with Muslims in public sector careers with significant results (Belzer 2016), and the Islamic Society of North America (ISNA) has also facilitated the H.R.H. Prince Alwaleed bin Talal Fellowship in Non-Profit Management and Philanthropy for a handful of years, a program targeting Muslim college and university students who demonstrate communal leadership potential. For emerging religious leaders, these practical management skills supplement theological and pastoral training. The programs also appeal to students and young professionals in particular who wish to strengthen their own religious learning and their abilities to serve communities in tandem with their main professional pursuits. A plethora of both on-site and distance learning programs promoting Islamic religious literacy have been founded in the past decade. One of the most popular programs among North American Muslims has been The Bayyinah Institute for Arabic and Qur’anic Studies, based in Irving Texas and led by Nouman Ali Khan. Bayyinah Institute has a robust presence online, including the subscription-based Bayyinah TV learning platform. Other programs under the Bayyinah umbrella include travelling seminars, intensive residential programs, and podcasts. The Bayyinah team includes over twenty-five professionals, from instructors to media, strategic, and customer service specialists. Nouman Ali Khan is one of a handful of young professionals to build an Islamic learning franchise. Omar Suleiman, Founder and President of the Yaqeen Institute for Islamic Research, has also built a platform for online content, ranging from short research articles to videos and infographics meant to stimulate debate and discussion on pressing social and spiritual contemporary issues. Based in Irving, Texas, the Institute produces entirely free and high-quality curriculum and materials addressed simultaneously to a Muslims audience and to those seeking a textured understanding of Islamic spirituality and history. The Institute is staffed and directed by a large cohort of individuals, many of whom have connections to other Muslim think-tanks, seminaries, and universities. These examples, while not exhaustive, exemplify the breadth and scope of leadership training programs as well as the many supplementary initiatives geared to developing religious knowledge and professionalism in the American Muslim context. Many Muslim professional training institutions are seeking out accreditation at some point in their organizational development. Accreditation confers to some professional legitimacy by enabling a degree of oversight and standardization of curriculum. Even more pressing for recruitment, accreditation opens more avenues for students to fund their education, particularly through federal sources of funding. For newer programs that are not affiliated with a historic seminary, accreditation is a critical hurdle. Accreditation is often a multi-year process that includes first acquiring state approval to confer degrees and then meeting structural and curricular requirements that satisfy the accreditation body’s requisites for institutional inclusion, such as adequate faculty and administrative staff classroom, residential and library spaces. Schools can lose accreditation owing to financial hardship, under-enrollment, deterioration of physical space, or inadequate curriculum, among other reasons. Often aspects of accreditation are specific to geographical locale. For instance, the accreditation laws in the state of Massachusetts are indicative of wider trends. In 1943, the state of Massachusetts mandated that any new higher education institution established thereforth would need approval from the newly formed Board of Higher Education for any degree it wishes to confer. Here, approval is not for the institution itself, but for the conferral of each of its degrees. Any institution that was established prior to 1943 would have a grandfathered exemption that precludes them from needing state-administered Board of Higher Education approval for its existing degrees as well as for any new degrees it wishes to confer. In terms of Muslim institutional experiences with accreditation, the responses thus far range from plowing through the complex accreditation process, circumventing it through interfaith partnerships, or avoiding it through the establishment of partnerships with Islamic higher education institutions overseas. The most popular alternative to becoming an independent degree-conferring institution is a partnering model where an interfaith relationship with a sister institution enables the institution to confer accredited degrees. For instance, the Bayan Claremont Islamic Graduate School was set up in 2011 as a division of Claremont School of Theology. Another example of partnerships is the Islamic American University in Detroit, Michigan which has been in operation since 2002 and offers classes and programs in Islamic Studies and Arabic. It is predominantly online, correspondence based, and operates as a 501(c)3 non-profit organization, not as an American accredited institution. In 2012, the Islamic American University established a relationship with the prestigious Al-Azhar University in Cairo, Egypt to offer distance-learning degrees in hopes of overcoming the challenges attributed to lack of accreditation. Rawiya College, founded by Al-Rawiya Foundation, is another instance of an institution partnering internationally in order to enhance programmatic possibilities and attract learners. We have surveyed developments in Muslim professional training in the United States with an emphasis on the plethora of new institutions and networks that have arisen in recent years to meet the exigent demands for professional Muslim scholars, chaplains, imams, and educators. Even as historically Christian theological schools and multifaith divinity schools are vying to provide relevant training to attract the most bright and charismatic Muslims, Muslim community-based efforts are striving to fill exigent needs for authentic programs that are robust, coherent, and culturally relevant. Competition for students and funding among similar programs is inevitable, but at the same time, collaboration is necessary to fulfill the shared aim of training highly competent religious scholars and community builders. Funding needs, and the near absence of financial compensation for teachers with very high experience levels, is indicative of the gap between the aspirations for a professional class of Muslim religious leaders and the current state of affairs, where funding for education must often compete with a host of other practical and sometimes more immediate demands such as physical infrastructure. As this survey has shown, there are vast differences in curricular designs and organizational structures. Likewise, the arenas in which Muslim community leaders are needed are distinct, and so too are the central competencies for professional leadership. In addition to determining which competences belong to which Muslim professional track, challenges remain as to how programs will secure funding, recruit staff for sustainability, pursue accreditation, and balance between distance and in-person learning. Programs must also determine if they should target a small cohort or a wider audience, and to what extent they should emphasize general leadership skills, verses Islamic religious literacy in their program design. A general concurrence is that Muslim religious leadership training programs should produce: 1) a strong foundation in Islamic knowledge and character, 2) strong pastoral skills, 3) competence in organizational leadership and non-profit management, and 4) at least a basic proficiency in intra- and inter-religious relations. The time necessary to acquire the requisite knowledge and become thoroughly competent in all of these facets could take at minimum five to seven years of intensive training, although students with prior competencies may acquire the requisite skills in less time. How the field will continue to develop and expand remains to be charted. Funding programs is also an on-going challenge, both to ensure that staff is compensated at a competitive rate and that talented Muslim students have the financial backing and means to excel. The Islamic Scholarship Fund, the Fadel Educational Foundation, and several other family and civic organizations based in America support many such young Muslim leaders. As professional religious leadership positions continue to pop up, the need for sound financial backing for training institutions and programs will continue. In the meantime, investments in professional training of religious leaders must compete with other pressing demands, such as providing social services and attending to the burgeoning physical infrastructure needs to cater to growing populations. Nancy A. Khalil is a Postdoctoral Associate in in the Yale Center for the Study of Race, Indigeneity and Transnational Migration and holds a PhD in Anthropology from Harvard University. After Yale, she will be joining the Department of American Culture at the University of Michigan in Ann Arbor. Celene Ibrahim is the Muslim Chaplain at Tufts University and has served on the faculties of Andover Newton Theological School, Hebrew College, Hartford Seminary, Boston Islamic Seminary, Episcopal Divinity School, and Merrimack College. She holds a PhD in Islamic Studies from Brandeis University and an MDiv from Harvard Divinity School. *Top image is taken from Friends of Association of Muslim Chaplains Association Facebook page. Abdullah, Q. (2013). Formation and education of Muslim leaders. In Religious Leadership: A Reference Handbook, vol. I. Ed. by Sharon H. Callahan, 693-701. Thousand Oaks, CA: SAGE. Burnett, J. (February 10, 2013). As Islam grows, U.S. imams in short supply, All Things Considered. Retrieved from: http://www.npr.org/2013/02/10/171629187/as-islam-grows-u-s-imams-in-short-supply. Belzer, T. (2016). American Muslim Civic Leadership Institute evaluation report. University of Southern California. Retrieved from: http://crcc.usc.edu/files/2016/05/AMCLI-Report.pdf. Bilici, M. (2012). Finding Mecca in America: How Islam is becoming and American religion. Chicago: University of Chicago Press. Douglass, S. L. & Shaikh, M. (2004). Defining Islamic education: Differentiation and applications, Current Issues in Comparative Education, 7(1), 5-18. Halhoff, A. (2011). Countering Islamophobia: Muslim participation in multifaith networks. Islam and Christian-Muslim Relations, 22(4), 451-467. Ibrahim-Lizzio, C. (2014). Interreligious leadership education for Muslims in the United States. Journal of Inter-Religious Studies, 15, 21-23. Jalalzai, S. (2006). “Translating Islamic authority: Chaplaincy and Muslim leadership education in North American Protestant seminaries.” (Doctoral dissertation). Columbia University, New York City. Khan, N. I. (2009). ‘Guide us on the strait way’: A look at the makers of ‘religiously literate” young Muslim Americans. In Educating the Muslims of America. Eds. Yvonne Y. Haddad, et al., 123-154. New York: Oxford University Press. Khoja-Moolji, S. (2011). An emerging model of Muslim leadership: Chaplaincy on university campuses. Pluralism Project at Harvard University. Khoja-Moolji, S. and Lizzio, C. (2014). Education. In The Oxford encyclopedia of philosophy, science and technology in Islam. Ed. Ibrahim Kalin, 190-198. New York: Oxford University Press. Korb, Scott. (2013). Light without fire: The making of America’s first Muslim college. Boston: Beacon Press. Morgan, John H. (2014). Islam and assimilation in the West: Religious and cultural ingredients in American Muslim experience. Journal of Religion and Society, 16, 1-11. ___. (2010). Muslim clergy in America: Ministry as profession in the Islamic community. Lima, OH: Wyndham Hall Press. Second edition. Murphy, C. (January 20, 2008). Soldier of faith. The Washington Post. Peace, Jennifer. (2011). The role of theological seminaries in increasing interfaith cooperation in the United States: The CIRCLE program of Andover Newton Theological School and Hebrew College. Journal of College and Character 12(1), 1-7. Smith, Jane I. (2013). Islamic leadership in America. In Religious leadership: A reference handbook, Vol. I. Ed. Sharon H. Callahan, 65-73. Thousand Oaks, CA: SAGE. ___. (2009). Islam in America. 2nd ed. New York: Columbia University Press. Yuskaev, Timur and Harvey Stark. (2015). Imams and chaplains as American religious professionals. In The Oxford Handbook of American Islam. Ed. Jane I. Smith and Yvonne Yazbeck Haddad, 47-63. New York: Oxford University Press. Morgan’s account of the historical trajectory and the professionalization of imams is helpful; although, we disagree with the suitability of some of his ideas for cultural assimilation such as shoes in the prayer space and replacing the Arabic greeting of peace with “hello,” pp. 5-7.